Should You Hire a Sleep Consultant for Yourself? 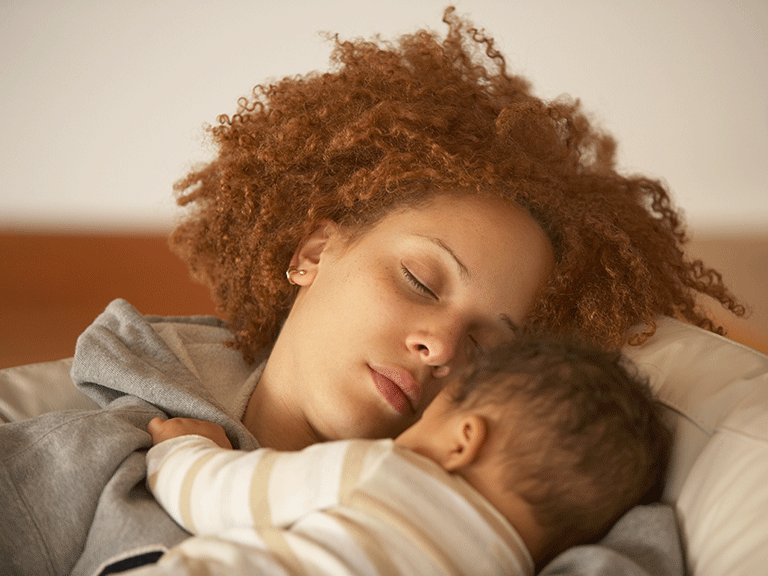 More and more moms are turning to sleep consultants—not for their babies, but for themselves. If your baby won’t sleep through the night—and hasn’t for the past three weeks—you might call a sleep consultant. If you, on the other hand, are plagued by insomnia or have trouble falling asleep, you’re more likely to call it a wash and spend the night scrolling through Twitter. But more and more adults are going to sleep consultants to deal with their sleep issues, which could be anything from interrupted sleep to worrying your way through the night. Read on if you think you’re ready to call in a pro. Wondering why you can’t sleep? If your guess is stress, you’re right on the money. “I tend to work with a lot of moms,” says Ronee Welch, a certified pediatric sleep consultant, integrative adult sleep coach, and founder of Sleeptastic Solutions. “They’re having a very hard time ‘shutting off their minds’ at night, which keeps them awake longer initially and throughout the night if woken up.” Welch also finds that device usage overnight is rampant, as evidenced by the fact that most of her potential client inquiries are sent in the middle of the night. If this sounds painfully familiar—and your doctor has already done a sleep study and ruled out medical issues, like sleep apnea and narcolepsy—you might be ready for a sleep consultant. Be ready to make some major changes. “What we offer is a holistic approach to sleeping well, and that often means that you’ll be asked to make some alterations to what you’re currently doing,” Welch says. “There’s no magic cure or pill, so you’ll need to be ready to make a few lifestyle changes.” These suggestions are very specific to each person, but could involve changing your diet or schedule. It’s a process that takes time and practice; Welch compares it to having a personal trainer. You could always go to the gym and exercise on your own, but, with a trainer, you also get a customized plan, a clear explanation of how to do it, and someone to coach you through it. If you work hard at making the changes your consultant recommends and don’t see results, she may refer you back to your doctor to check for any other issues. First, your sleep consultant will schedule an initial phone call to learn about the issues you’ve been experiencing. In Welch’s case, that’s when she’ll recommend the amount of time a client will need (it could be anywhere from four to eight weeks). If you’re on board, Welch sends a detailed questionnaire for her clients to fill out, which she then uses to put together a plan that involves a consultation and weekly phone or video calls. She uses those calls to go over the previous week’s progress and discuss new action steps. One of the most important steps is keeping a daily activity log. “It’s the only way I can really track [my clients’] progress,” Welch says. “Oftentimes, not sleeping well is just a symptom of other things happening in their life, so it’s important that I look at all aspects of their daily schedule.” When you speak with your consultant, you’ll go over everything from potential factors like diet, stressors, anxiety, exercise, medications, and illnesses to your room environment, schedule, and bedtime routine. She’ll use that information to educate you on what may be disrupting your sleep and what kind of changes you should make. Welch gives her clients specific, small tasks she knows they can accomplish each week, and explains why, so they’re more likely to continue on their own once their sessions are up. Ready to hire a sleep consultant but don’t know any in your area? Not a problem. Many sleep consultants, including Welch, can conduct all their sessions over phone or video chat.